I never actually met Mr. Shantz. 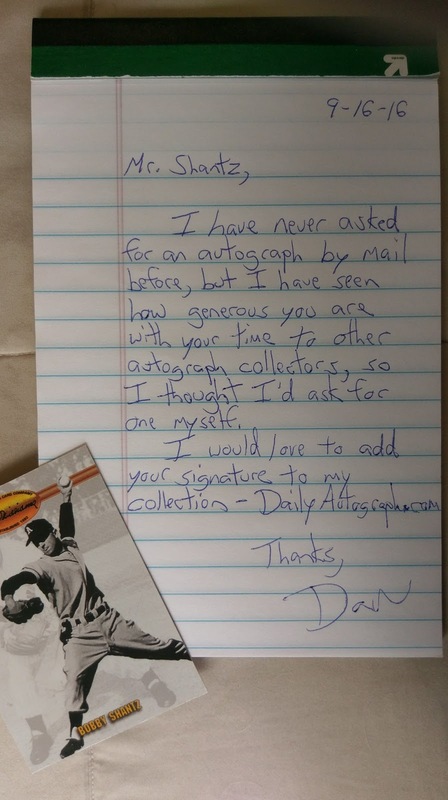 However, I had seen numerous collectors with his autograph that they had acquired through the mail. That never appealed to me, because I like meeting people in person that sign for me. I had owned this card for over 20 years and knew that I would most likely never have the opportunity to have it signed in person. So, a week before Mr. Shantz's 91st birthday (September 26, 2016), I sent him my card and a short note. Six days later my card came back signed. 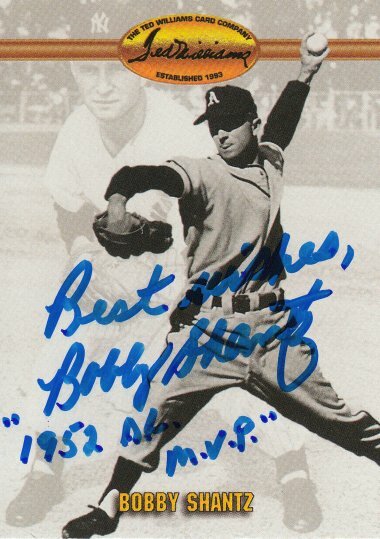 Bobby signed a 1993 Ted Williams card #69.